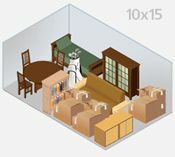 Entry ClosetIdeal for storing personal items, small furniture, or business records. 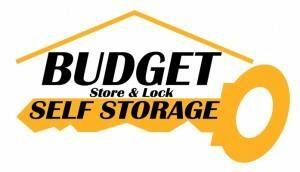 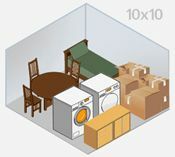 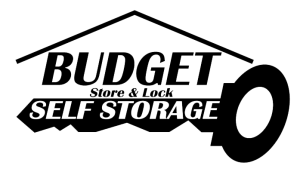 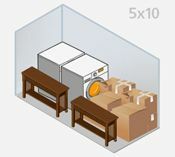 Walk-in ClosetIdeal for storing small amounts of furniture. 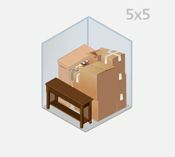 Small BedroomIdeal for storing a typical 1 bedroom apartment. 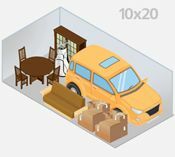 ¾ of a One Car GarageIdeal for storing a typical 2 bedroom apartment or house. 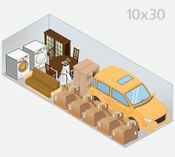 Large GarageIdeal for storing a larger 3 or 4 bedroom house. 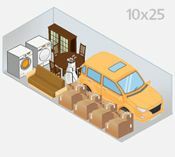 Larger GarageIdeal for storing a 4 to 5 bedroom house.